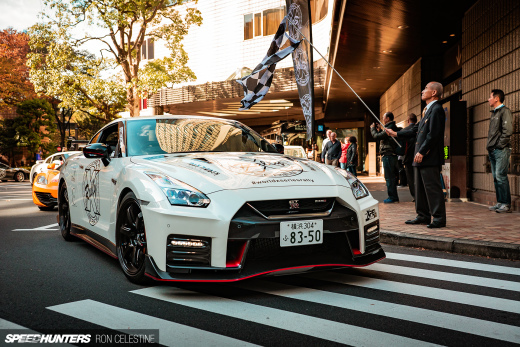 December is, by far, my favourite time of the year, and one of the things I enjoy the most is looking over the Photos of the Year posts put together my fellow Speedhunters. For my first of two parts, I’ve chosen 15 assorted images from my Japan trip back in April and May. Those of you who have read my work will know that Japan has had a big impact on my life, so it seemed fitting to focus on this small continent first. Naoki Nakamura graced us with his presence for our first day at Meihan Sports Land. My trip to Japan went for just over two weeks and was non-stop. 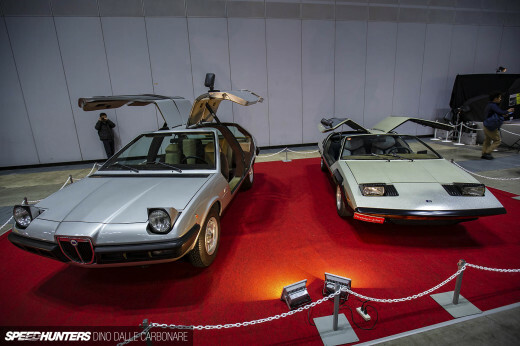 In that time we attended a number of events, meets and garages. 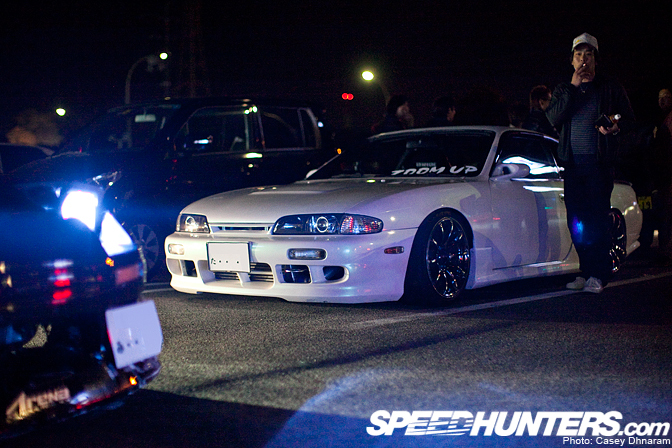 I spotted this ZOOM UP S14 sitting quietly at a little convenience store in Nagoya. During this trip I visited Supermade. I was giddy with excitement when Yoshida-san parked the S15 outside so I could take some statics. 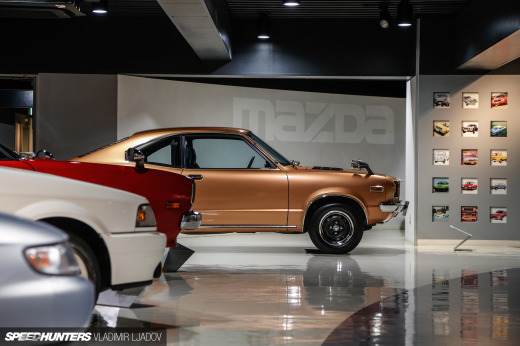 Another memorable stop was to Hakosuka heaven: Jenesis. Here’s a photo of three gorgeous Skylines. T-Welding blew me away. Yuuichi Taguchi-san is certainly a perfectionist when it comes to welding exhausts. On our second visit to Meihan Sports Land – this time for the Wreck `Em day – Kuroi-san from M-Bros made an appearance along with Team Burst. With the sun setting over Meihan Sports Land, I spent some one-on-one time with Jesse Streeter’s beige PS13. You can see the full feature here. While I was at it, I also shot the SR20DET-powered Nissan Gloria from Supermade. Japan brings a constant flow of unexpected surprises, such as being able to ride shotgun with Naoki Nakamura in his 600+hp D1GP S15. B-West is owned by Kazuya Bai-san and his wife. Here he’s sitting in the pits, preparing for some battles. Suzuka can be a very moody and dramatic circuit. I don’t usually get to work with scenery like this back in Australia, so I made the most of it while in Japan. It was during my visit to Motorland Suzuka that I spotted the Bride AE86 Trueno Coupe. 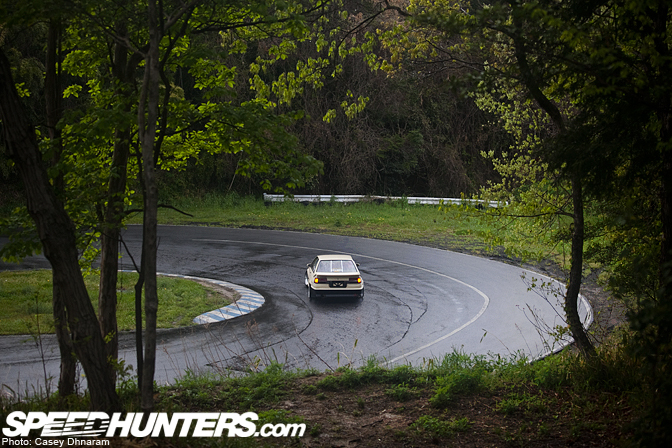 I knew straight away that it was perfect for a feature on Speedhunters. After a full day of drifting there is nothing better to do than head out for copious amount of food and drink. On the way back into the city we spotted Tamaki-san’s slammed EK Civic. 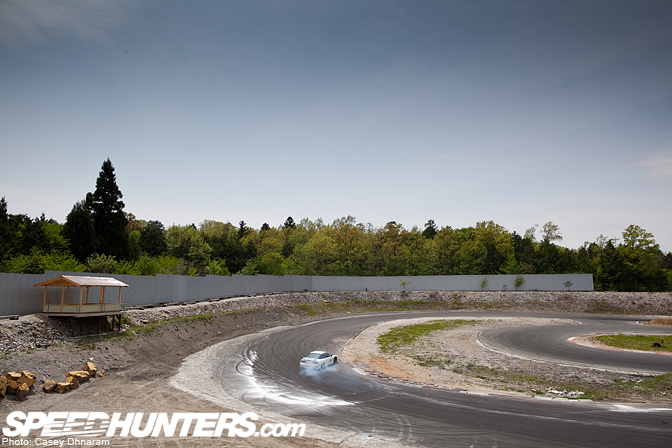 We weren’t sure if the 3.5 hour drive to Okayama was worth it for a drift practice day, but as soon as we arrived at Bihoku Highland we knew we had made the right choice. 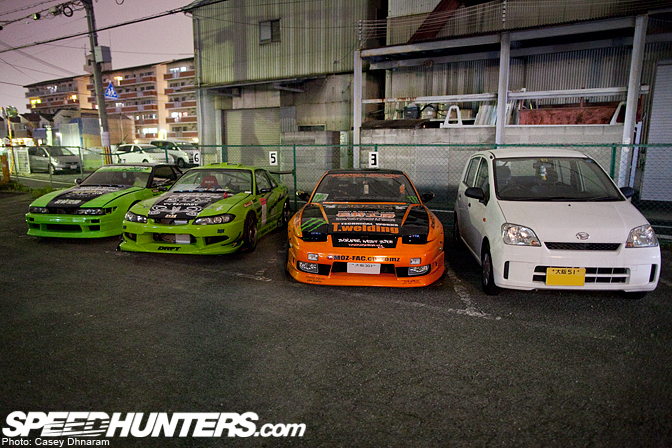 To conclude I have a photo of the whole K-Tours group in their drift cars. 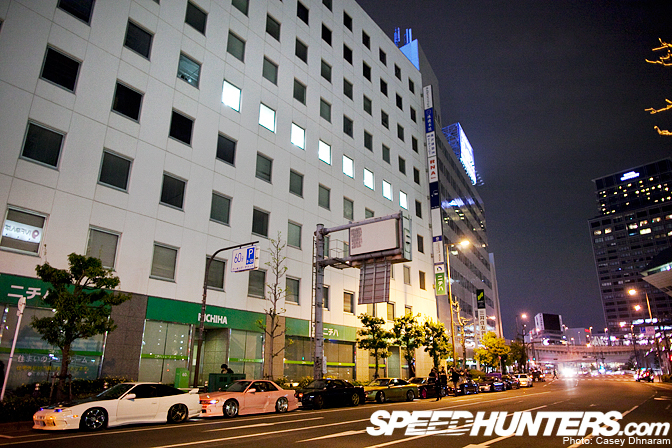 This was taken in the middle of Shinsaibashi in Osaka. Stay tuned for part two. Awesome pics! 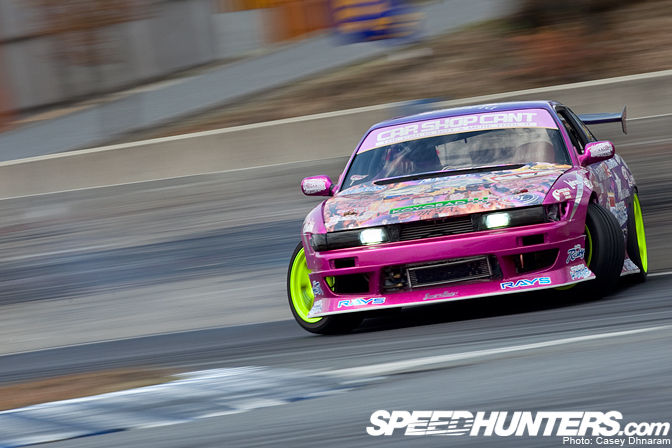 I especially love that Supermade S15! Japan is just amazing. Nothing else has to be said. *By the way: Not "continent", it's a "country"! awesome pics... will visit one they! simply awsome! more jenesis and DR30s please!